As children grow, their baby teeth are replaced with adult and permanent teeth. It is essential to take good care of the teeth to maintain the oral health of a child to prevent the accumulation of bacteria and the development of dental cavities. When dental cavities or dental caries are untreated immediately, the baby tooth will be prone to bacterial exposure that can lead to tooth decay. Dental practices help in maintaining the child’s dental health, but an added layer of protection would not be a bad idea. Alora Dentistry offers Teeth Sealants in Napa to provide an extra layer of protection to your child’s teeth against dental cavities. Sealants are made of thin, plastic coatings placed on the surface of the teeth to seal out food particles, bacteria, and plaque that can cause tooth cavity. 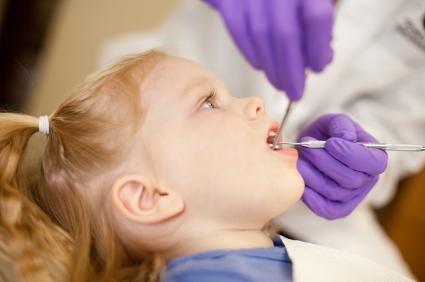 Teeth sealants are applied to children’s teeth to create a protective layer which prevents the risks of tooth decay. Teeth Sealants or Dental Sealants are suggested by the dentist specifically when the child’s permanent tooth molars erupt. Sealants are durable, and it can last for several years with good oral practice and regular checkup with the dentist or hygienist. Teeth Sealing is a simple, painless and cost-effective dental treatment. To prepare the teeth to be sealed, the dentist will remove all the plaque and debris on the tooth’s surface, even in the deep grooves and fissures of the child’s teeth. The dentist will then etch the tooth surface so that the sealing material will bond and effectively adhere to the tooth. Next, the pediatric dentist will apply the thin, plastic material to the child’s back teeth surface. Using a curing light, the sealant is hardened to make sure that the dental sealant is adequately secured to the teeth. The procedure is non-invasive and provides the child’s teeth long-lasting protection. Prevents Tooth Cavities and Decay: Baby teeth are prone to cavities and tooth decay. Regular flossing and brushing help in cleaning the teeth but do not entirely reduce the risks of developing cavities to the teeth. Lessen Bacterial Exposure: Teeth Sealants are an added layer of protection to the teeth and seals out bacteria, therefore lessen the exposure of the teeth’s surface from bacteria, food debris, plaque, and calculus. Strengthen the Child’s Teeth: The baby teeth provides placement for the erupting adult teeth. When the baby tooth falls out at an early age, the area is left open because the permanent teeth are not yet ready to erupt. It may cause the permanent teeth to shift position leaving the space open that can serve as the breeding ground for bacteria which may lead to gum disease. Improves the Function of the Teeth: Aside from strengthening the teeth, Dental Sealants also enhances the teeth’s function. Damaged tooth affects the ability of the child to chew, eat, and speak but with dental sealants applied to the tooth, the likelihood of having tooth damage or decay is reduced. Healthy and strong teeth mean that the teeth perform their supposed function properly. Get added protection to your teeth with Teeth Sealants in Napa, CA. Contact us to schedule your appointment with Alora Dentistry! Our dental office is located at 917 Trancas Street, Suite A Napa, CA 94558.